I am looking for a Safari extension that allows me to change any CSS on any website. The things I want to do is change the white background to black and the black text to white, I also want the links to be green. Is there a extension that allows me to do this? 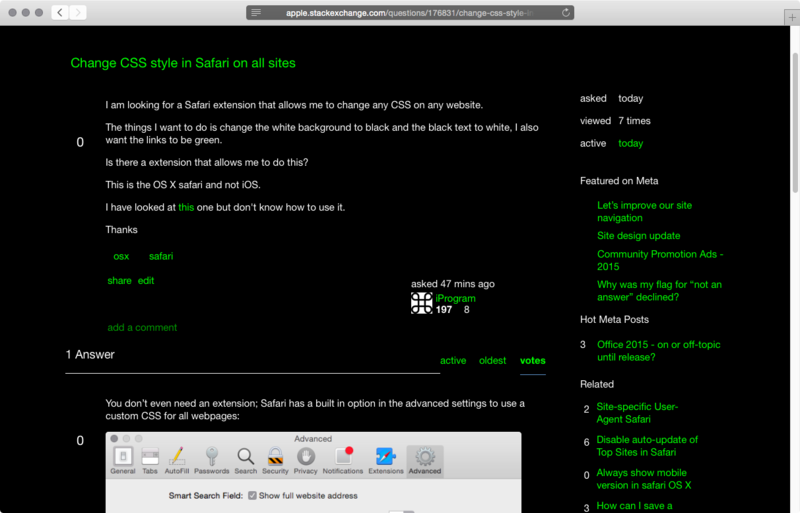 This is the OS X safari and not iOS. I have looked at this one but don't know how to use it. and then load it into Safari via the preferences. 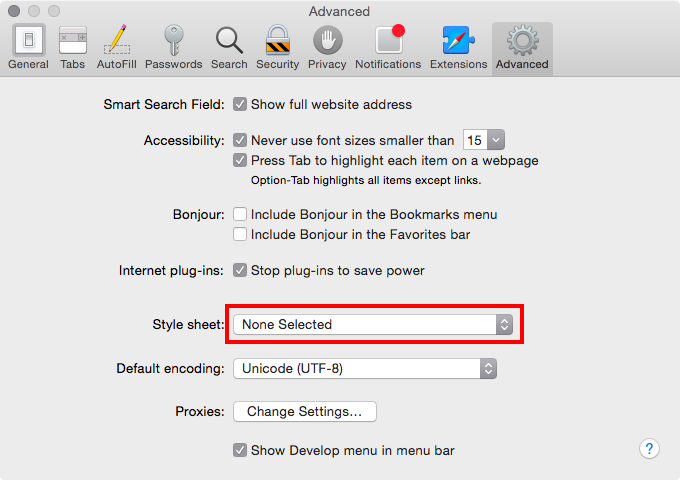 To reload any changes to the CSS while Safari is open, you need to select None Selected and then re-select your custom file. You’ll probably find lots of people on the web that have put lots of effort into similar CSS files. Good luck!